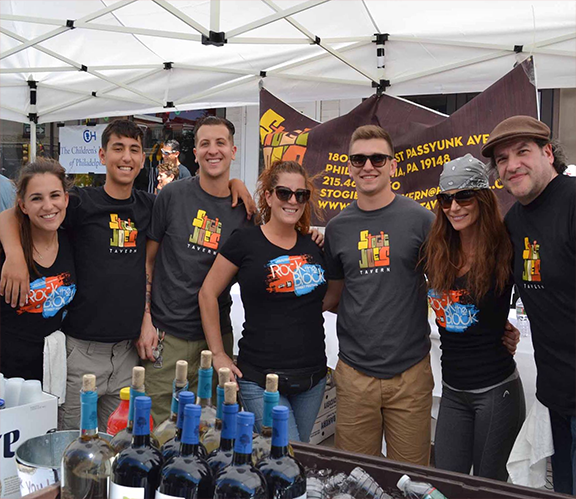 This Sunday, June 11th, Stogie Joe’s will be hosting the 5th annual Rock the Block Street Festival. Proceeds from the day will go to The Cancer Center at The Children’s Hospital of Philadelphia on behalf of the Coach Wags Memorial Foundation. In addition to food and drink sales, guests will have the opportunity to enter raffles and a silent auction. For more information, please the official Facebook Event listing HERE. I would’ve gone, but my track suit was in the wash. There were seriously like 5 people there and 1 kid bouncing in the bounce house.